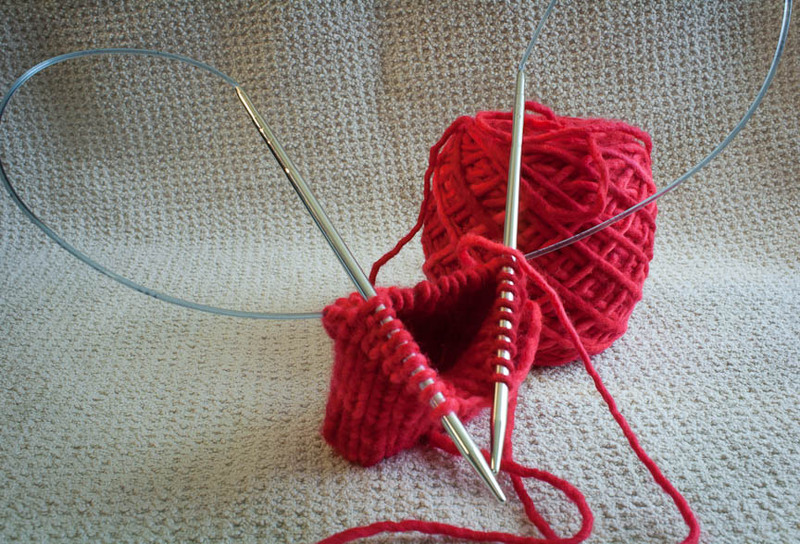 If ever you find yourself knitting mittens, socks or booties, I highly recommend using the Magic Loop Method. It eliminates unwieldy double pointed needles, knitting becomes quicker and you don't have any pesky "ladders" as a result of improper tension between needles. It takes some finesse to figure it out at first, but once you understand how to Magic Loop knit, it goes by quickly. Now I've got to finish my second mitten. I already finished the first one I started this morning. Can't wait to show y'all! Thank you for your website. I downloaded a couple of your patterns. You're welcome! Please let me know if you have any questions about my patterns.